We have seen RUT constrained in a tighter range. If we look back a little the trading range since Jan was roughly [650:720], then cut in half [690:720], then now in half again [705:720]. Such situation should end up in a breakout, probably on the up side. We have to try and find out the exact timing for it. 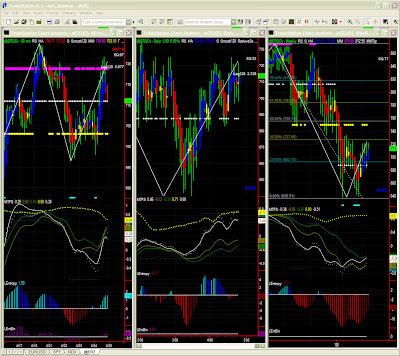 We got it right yesterday on EURUSD, didnt we ? 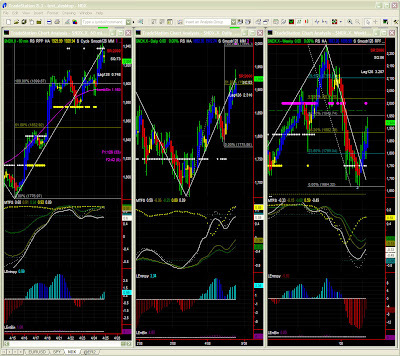 About EURUSD, again and again, i repeat that 1.5625 will be a key level for a possible change in trend. ER2 (RUT) is again at range highs, also a strong MM resistance level. The level looks hard to break, yet it should only be a matter of time. MTFS and Entropy are somewhat positive, and we are now closer to a breakout on the upside, but we are likely to first see another round in this narrower trading range. ER2 (RUT) is indeed hesitant around range highs. MTFS shows some mild upper bias, but Entropy is so weak there is at this point in time very little indication of a range breakout. The most likely scenario is more congestion (i.e. 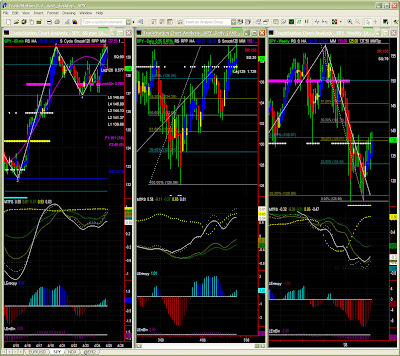 same higher part of current range) for the time being. Only some new energy (endogenous, i.e. breakout, or exogenous like some economic news) could change this scenario. Yet the worst certainly seems over with Entropy bottoming out and the MTFS pattern is about complete. The last few blue bars complete the picture. To be on the safe side though, we will recognize that the MTFS while having an upper bias could well indicate some congestion at this low level still. We will wait for the MTFS pattern to complete now until then the downward pressure is fully dissipated, hence a mild negative bias still prevails. The most likely scenario is the same [690-730] trading range. However, in case of a coming breakout on the upside, the 50% retracement level around 750 would be also quite strong. Levels above 750 are quite unlikely in the next couple of months.